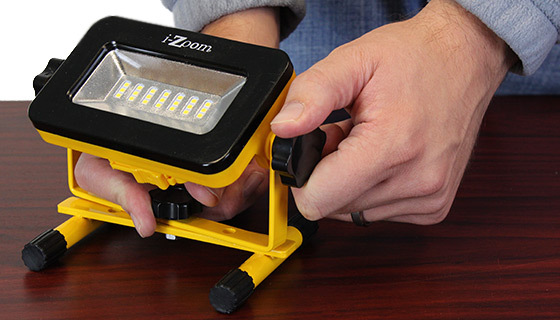 This super-bright, versatile Flood Light by iZoom is perfect for home projects, auto repairs, camping and more. It runs on 3 AA Batteries (included), which makes it portable, and it's weatherproof so you can use it indoors and outdoors. 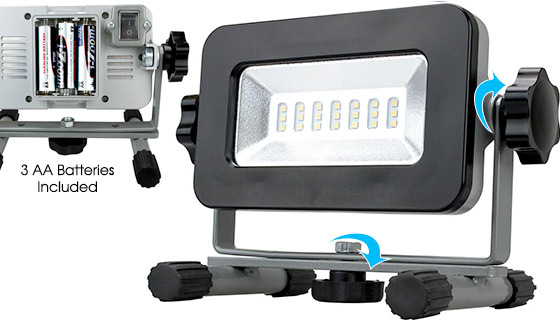 The Slim Flood Light replaces traditional, bulky constructions lights, and even includes a stand that doubles as a mounting bracket. 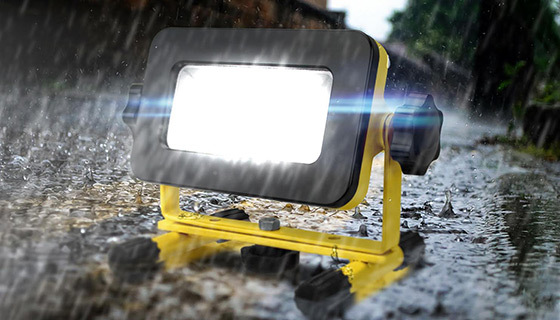 With its 21 LEDs, the Slim Flood Light dishes out a whopping 500 Lumens - plenty of light for a variety of applications. 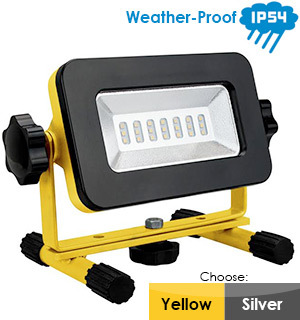 This light comes in your choice of silver and yellow features a durable metal body for use in rugged environments. I bought two for my son for use at his campsite; the lights will be perfect for lighting up the Corn Hole boards for night time playing. The one that I got for myself will be for general purpose use and for emergency lighting during a power outage. When turned up facing the ceiling, it illuminates the whole room. Needless to say, I am extremely happy with this purchase. I used it last night , OUTSTANDING may get one more . In our apartment, storage is always at a premium. So we converted a coat closet into a storage closet by building shelves along the two sides and at the top of the back wall. It created a lot of good space but it was dark and hard to see what was in there. We tried several types of lights, but nothing really worked -- until this one. When we turn on this light, pretty much the whole closet is illuminated, but with light that allows us to see things without a lot of glare. It swivels and moves such that we can see even in the dark corners. We love this light and its made our closet really useful. When I got these I was delighted to see how well they worked! They lit up a super dark night and did well in hours lit. 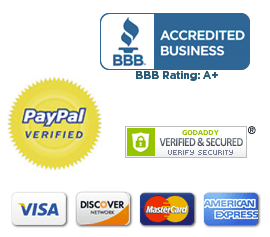 I rate them a 5 star and recommend them Will be good for a vehicle work if on the road, such as a flat tire fix at night. I really like them! Good job! I like these outside my camper to light up anyone coming near. They also light when I let the dog out. I ordered 3 more, but one of them failed because of a loose battery and broken soldered wires, otherwise would be 5 stars for my 5 lights. Works great and very light to carry. Easy to move around with there being no cords, etc. Quality product! These lights are very bright and sturdy, made of metal. They adjust to any angle you need to set them to. The Versa Beam is compact but puts out a lot of light. I had to replace a battery in a Exit light in a dark hallway and it worked great. Lite up the hallway so I could see to get the job done. Great product. This baby really lights up a room. 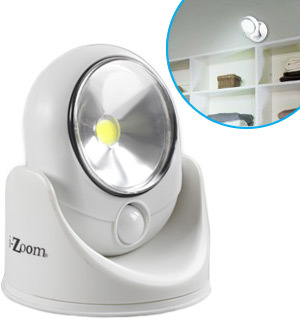 Small size and lite weight puts out a tremendous amount of light wherever you need it. Glad I purchased two. it arrived on time came with batteries and it works great. it is very bright, will definitely help if I am on the road at night. 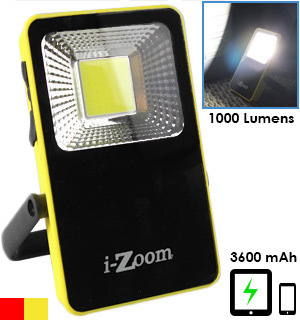 Great small mini flood light and excellent price! Compact, bright and very versatile. Bought as a gift for my mechanic and he loved it. Especially handy for undercar work. 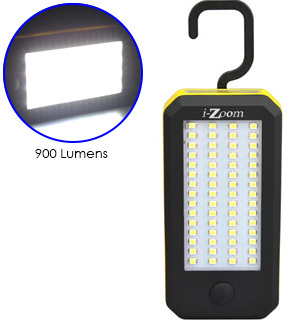 If you are looking for a perfect portable work light that is very bright and energy efficient then this is it. 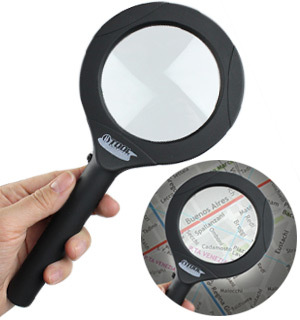 Perfect size for working in small areas like undersink cabinets with enough lumens to light up a small room. Most users dont require the power of most full-sized and bulky floodlights designed for industrial or contractor users. Best of all, uses AA batteries which is very popular size. The item is very useful for when light is needed. It is compact in size and adjustable. The light is really bright. Would recommend this item very highly. Lights well, but batteries dont last. The lights are great for illuminating an area with LED lighting, but the batteries died after about 1.5 hours of use. I used them for outside display at craft show and needed them to work longer. Probably would be great for limited use activities. IT LIGHT UP THE WHOLE AREAS. I WIL BUY 6 MORE !! !